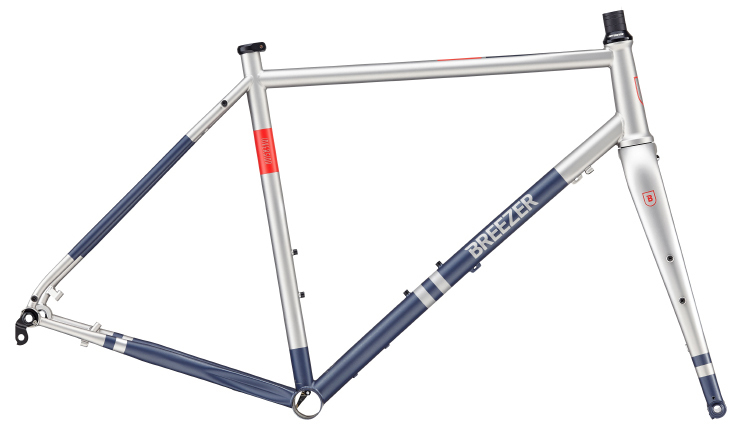 Designed to test the boundries of what a road bike can do, Breezer constructed their awesome new Inversion Disc Frame with double-butted chromoly to offer riders a comfortable and sturdy bike that’s as reliable as it is fast. Water bottle mounts let you carry hydration along easily, and apex disc brake mounts give you excellent braking control. The fully carbon fork is super stiff and stable, offering super responsive handling with the aid of a tapered steer tube. Whether you’re crusing to the coffee shop, racing cyclocross, or ripping up some desolate backroads, the Inversion is an excellent steed. what size is medium? 51? BEST ANSWER: Yes, check out the geo chart at the bottom of the description page. How fat of a tire will the frame and fork accept, 40c? BEST ANSWER: I have Panaracer Gravel Kings 40c on my inversion and they fit with plenty of space. I’m Gonna switch to a 27.5 so I can go with a wider tire.